COMPETITION TIME?? 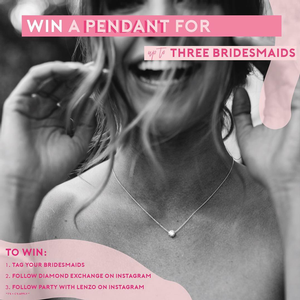 win a diamond pendant for up to 3 bridesmaids! Valued at $2,000 each ?? 2. Tag your 3 bridesmaids!